In his fiction debut--and the start of a new series--celebrated illustrator K.G. 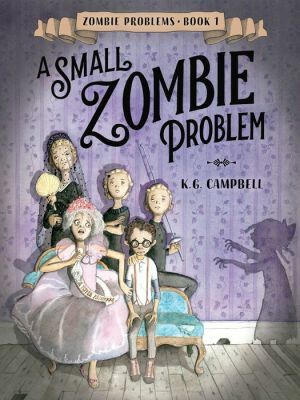 Campbell brings a touch of Tim Burton to this singularly strange and wonderful story about a lonely young boy whose life is about to get a whole lot more complicated when a zombie follows him home. August DuPont has spent his whole life in a dilapidated house with his aunt Hydrangea. But his lonely existence is broken by a sudden invitation to have lunch with an aunt he didn't even know existed. August travels to meet his aunt Orchid and cousins, who are equally shocked to know he exists. When Orchid suggests that August attend school with his cousins, it's a dream come true. But August has scarcely begun to celebrate his reversal of fortune when he is confronted by a small problem on his way home. So begins an adventure filled with a wild child, a zombie, a fabled white alligator, and a family secret stranger than August could ever imagine.